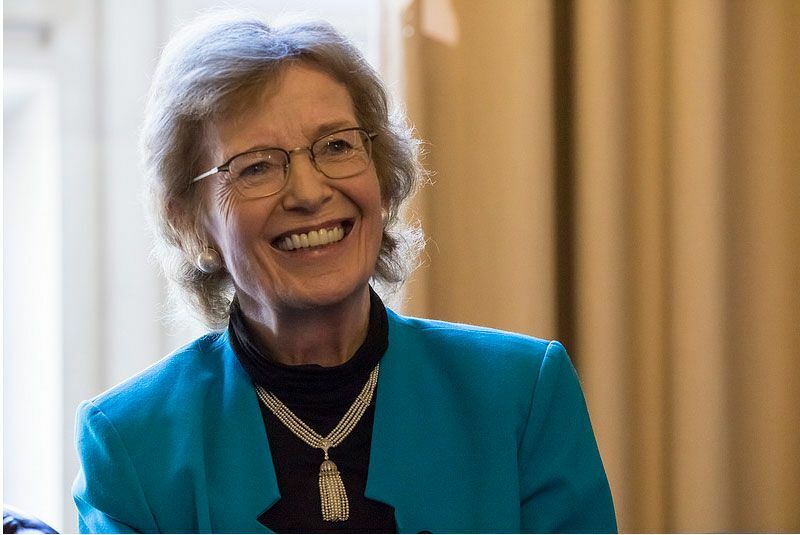 MARY ROBINSON the first woman elected President of the Republic of Ireland, elected; For many years Robinson worked as legal adviser for the Campaign for Homosexual Law Reform with future Trinity College senator David Norris. In one of her roles as president, the signing into laws of Bills passed by the Oireachtas she was called upon to sign two significant Bills that she had fought for throughout her political career: a Bill to fully liberalize the law on the availability of contraceptives and a law fully decriminalizing homosexuality. And unlike Britain and much of the world at the time, it provided for a fully equal age of consent, treating heterosexuals and homosexuals alike. Robinson became the United Nations High Commissioner for Human Rights on September 12, 1997, resigning the Presidency a few weeks early with the approval of Irish political parties in order to take up the post. Media reports suggested that she had been headhunted for the post by Secretary General of the United Nations, Kofi Annan to assume an advocacy as opposed to administrative role, in other words to become a public campaigner outlining principles rather than the previous implementational and consensus-building model. The belief was that the post had ceased to be seen as the voice of general principles and had become largely bureaucratic. Robinson’s role was to set the human rights agenda within the organization and internationally, refocusing its appeal. Robinson was the first High Commissioner for Human Rights to visit Tibet, making her trip in 1998. During her tenure she criticized the Irish system of permits for non EU immigrants as similar to “bonded labor” and criticized the United States’ use of capital punishment.